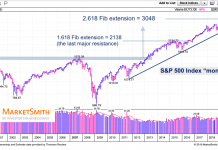 The S&P 500 (SPX) finished flat and retained its bullish Market Forecast intermediate posture; it was a similar story for the Dow Jones Industrial Average and the NASDAQ Composite. The Russell 2000 (RUT) is acting a bit differently than the other stock market indices; it closed lower by 0.57% today and now has a weakly bearish intermediate posture. 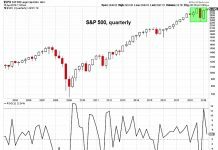 The S&P 500 and NASDAQ Composite (COMPQ) both touched fresh 5 month highs on an intraday basis; they both continue to exhibit “3 Green Arrows” signals as well. The Russell 2000 remains the only index without a 10-40 week moving average “golden cross”. The U.S. Dollar is now trading below its rising 30 day moving average, however its pattern of higher highs and higher lows remains intact for the time-being. 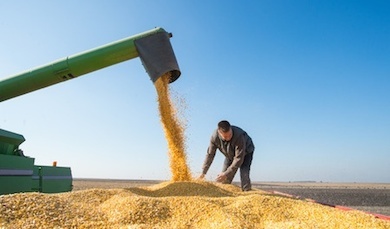 Gold, Agriculture Commodities, and Crude Oil have bullish intermediate postures; the Crude Oil chart appears to have the strongest trend of those three. Stock markets in India, China, Germany and United Kingdom have strongly bullish intermediate postures and are trading near multi-month highs; South Africa remains a laggard. The Communications sector was pressured by Media stocks today and the Industrials sector is likely to suffer from the FedEx (FDX) earnings report tonight after the bell. The Technology sector continues to be a bright spot; it closed higher today and reasserted itself into the top-ranked slot on the Sector Selector tool. 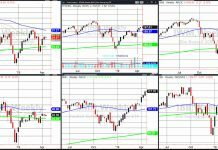 Our trade application example featured selling a bull put spread on Salesforce.com (CRM), which has bounced back above its rising moving average recently.